The Orthodox world celebrates Epiphany today. Baptism is a major Christian celebration of the Orthodox Church, in the old style on Jan. 19 and in the new style on Jan. 6. According to Scripture, nearly 20 centuries ago, John the Baptist baptized Jesus Christ in the Jordan River in Israel. 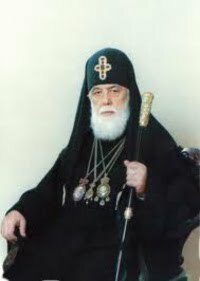 Catholicos Patriarch of All-Georgia Ilia II will hold a solemn service at the Cathedral of the Holy Trinity. Today, he will baptize more than 500 children. The patriarch has about 7,000 godchildren. The patriarch made the initiative of baptizing children on Jan. 19, 2007. He baptizes every third and subsequent child in families. Last week, according to the decision of the Patriarch, every fourth child in the family, which will be baptized by His Holiness, will be granted a new title - the Devoted Patriot of Homeland and the Defender of Patriarchate’s Throne.